Visiting NYC or maybe you live in NYC and you’re looking for unusual and cool things to do? We’ve got you covered. This blog post will cover 7 things we recommend checking out in the city of endless things to do and places to go. Let’s start this list with the one you’ve probably already heard about, but it’s just THAT worth visiting. The Brooklyn Botanical Gardens are absolutely beautiful. They’re a great place to connect with nature within the city. Check their website HERE because they frequently have events [ranging from special festival to artist installations]. If you’re a chocolate lover, the Raaka Chocolate Factory isn’t to be missed. They offer factory tours and chocolate classes. All of their chocolate is certified organic, kosher, non-GMO, as well as gluten and soy free… and they’re vegan! They also source responsibly and use fair trade practices. Even if you don’t love chocolate [how??] the experience is fascinating and you might just walk out of Raaka as a new proclaimed chocolate lover. Visit their website HERE. 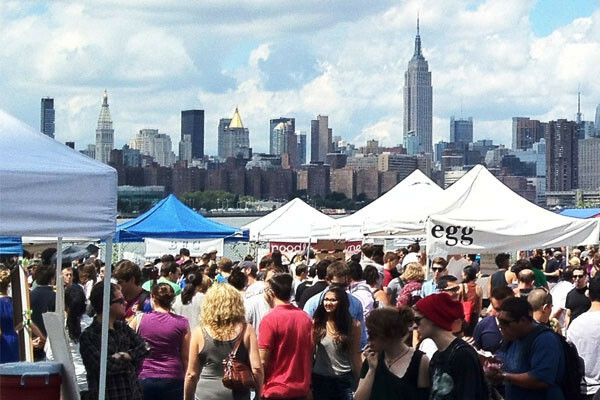 If you love to eat, Smorgasburg is not to be missed. It’s an amazing open air food market packed with a variety of food vendors. Don’t worry if you’re vegan, vegetarian, or gluten free, there’s plenty of options for you as well! The market is open Saturday’s in Williamsburg and Sunday’s in Prospect Park from March 31st thru the end of October. Find all the details on their website, HERE , and don’t forgot to bring your own straw, cup, and utensils to lessen your waste while you enjoy! THANK YOU FOR EXPLORING NYC WITH US!